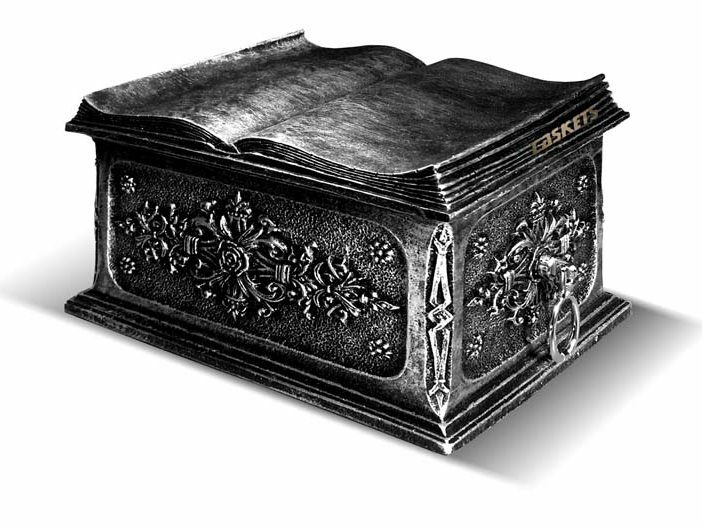 A very detailed composite casket in a steel-plated or bronze-plated finish. 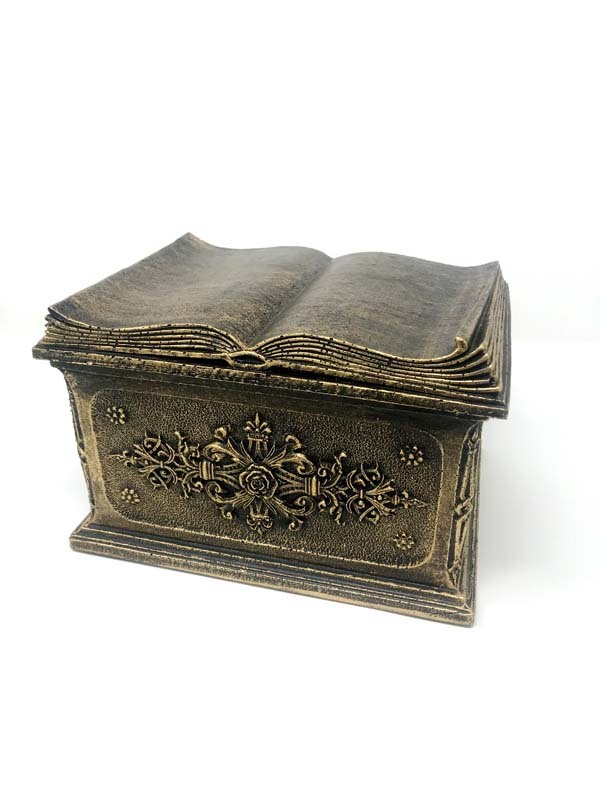 The open book and makes this urn a great choice for book lovers, while the sides feature intricate decorations. 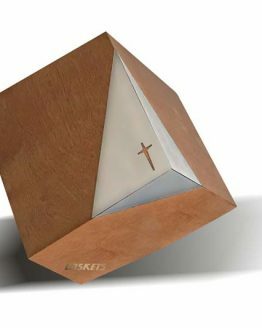 Composite Casket For Ashes Open Book is a highly detailed funeral casket made of composite stone for durability and finished in a choice of either steel or bronze plating. Each face is decorated with an intricately detailed design of flowers and curlicues, whilst ornate handles add to the luxurious feel of this casket. 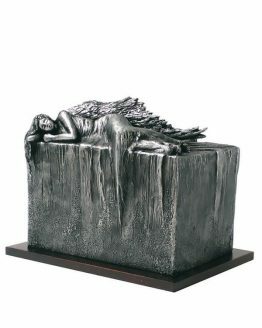 Resting on top is a beautiful rendition of an open book with skilfully carved pages, creating a beautiful, curving top. 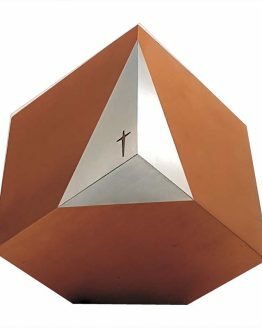 For some, the book signifies the story of a life well-lived, for others it represents the Bible. 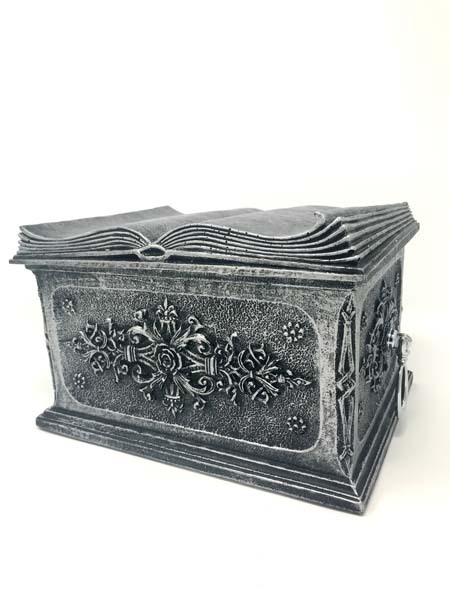 This funeral casket is also a perfect tribute to someone who loved books and reading. 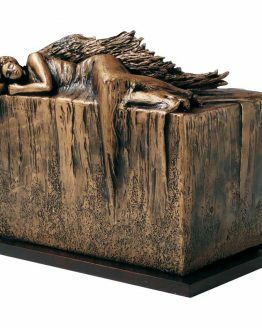 Whatever it means to you and your loved one, the elaborate design of this casket make it an attractive centrepiece in any home. 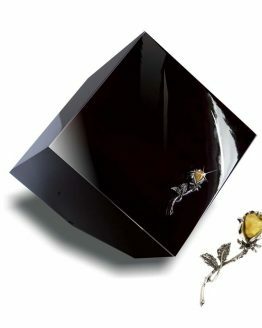 The sturdy, oblong shape allows you to safely place the casket on a shelf or mantelpiece at home. The lustre of the finish also looks particularly beautiful by candlelight. My sister Brenda was never without a book, so this will always remind us of her. Great service and cheaper than I would have expected.